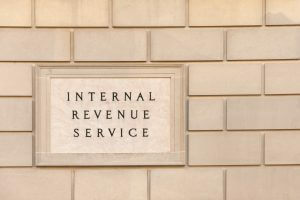 The Internal Revenue Service IRS is an agency that was made to collect tax from Americans and administer the Internal Revenue Code enacted by Congress. The internal revenue service is always generating tax resources for small-sized businesses. In fact, small sized business owners do not always need to turn to accounting consultants. They can greatly benefit by using these resources provided by the IRS – Internal revenue service. IRS – Internal revenue service is a legal body that makes laws relating to taxes. At the same time, IRS – Internal revenue service offers resources for small business owners. The Small Business and Self-Employed Tax Center conveys info on IRS.gov to a single shared place. The IRS Tax Calendar for Businesses and the elf-Employed aids owners in systemitizing. It contains tax due dates & actions for each month. Users can subscribe to calendar reminders or download the calendar to their desktop or calendar on their mobile phones. There is an A to Z business index and it helps people in finding small business topics on IRS.gov. The IRS Video Gateway deals with learning actions & informational videos on various business issues. The Small Business Forms and Publications page benefits business owners in finding the documents they require for the kind of business they own. It lists tax forms, directions, desk guides and more. Small business workshops, seminars, and meetings are held all over the country. They are funded by IRS allies that major in federal tax topics. Topics differ from summaries to further definite topics such as retirement plans and business bookkeeping and record keeping. Small business owners are often busy in their day to day business functions. Most of them are managing their resources on their own. From very basic business functions to bookkeeping and accounting, they are managing them alone. Keeping a check and balance type control on bookkeeping is not a small task. They are left with little time to calculate new ideas and interpret their financial status better. Especially at the start of business, it is a very difficult task to interpret and carry out all business operations in an effective way. At that time, entrepreneurs require assistance throughout the year until their business gets settled to some extent. Many cannot hire accounting consultants all at once. At the same time, small business owners need to pay taxes as well. They might be trying to manage several loans as well. Knowing how to cope with taxes and loans is a challenging task for new entrepreneurs and small business owners. That’s why the IRS has made many resources for the proper guidance and tax assistance for small business owners?entrepreneurs. Small businesses work like a network of veins throughout the body. The body is the national economy. Small business owners are essential for the economy of a country. That is why the IRS is facilitating its small business owners in the best possible and legal way. They can get instructions, forms and many other services on the conjoined web-portals that are specially designed and dedicated to small sized business owners/entrepreneurs. Small sized business owners utilize these services provided by the ‘Internal Revenue Service’, the way that is most convenient for them. These can be accessed from homes, offices or sitting anywhere if you have an internet connection. You can utilize these services by downloading them from your phone or desktop and use them whenever and wherever you want. A small business owner can access them 24 X 7.